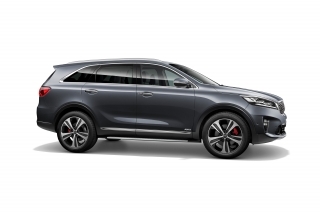 Kia's flagship SUV in the UK, the stylish seven-seat Sorento, has a subtly sportier look for 2018 with the introduction of ‘GT-Line’ and ‘GT-Line S’ variants and the availability of an eight-speed automatic gearbox. 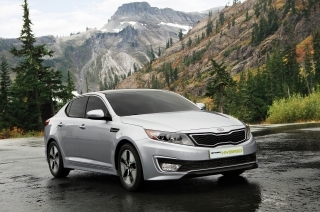 The eight-speed auto replaces the previous six-speed unit and is offered in four of the seven Sorento models. 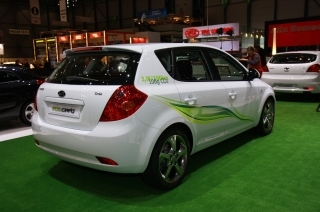 It is standard with ‘GT-Line’ and ‘GT-Line S’ and optional with ‘KX-2’ and ‘KX-3’ versions. 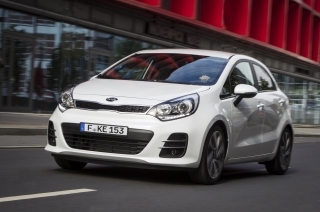 The increased number of gear ratios helps to deliver excellent fuel economy with the automatic gearbox delivering up to 39.2mpg, while CO2 emissions are cut from 174g/km to 161. 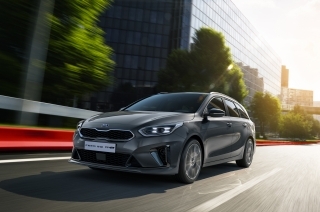 The eight-speed gearbox was designed and engineered in-house by Kia’s research and development team in Korea and offers up to five different shift and throttle programmes, accessed through the Sorento's electronic Drive Mode Select. Drivers can leave the car to shift for itself, or change gears with steering wheel-mounted paddles in ‘GT-Line’ and ‘GT-Line S’. The Sorento continues to be available with a six-speed manual gearbox in ‘KX-1’, ‘KX-2’ and ‘KX-3’ versions, with fuel economy of 41.5mpg and CO2 emissions of 157g/km. 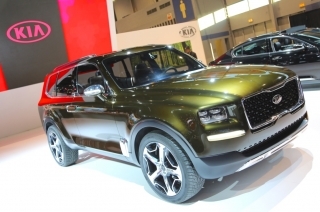 All versions are seven-seat SUVs powered by a 197bhp 2.2-litre turbodiesel engine able to drive all four wheels through an intelligent four-wheel-drive system. Depending on model, the Sorento features state-of-the-art safety and convenience technologies, including Adaptive Smart Cruise Control, Blind Spot Detection (BSD), Rear Cross Traffic Alert (RCTA), Lane Keep Assist System (LKAS), 360-degree Around View Monitor, Driver Alert Warning (DAW) and Speed Limit Information Function (SLIF). 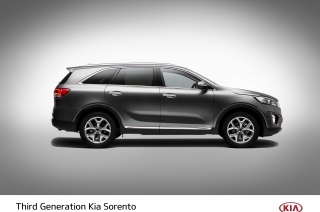 In 2015 the third-generation Sorento kick-started the second phase in Kia’s transformation from a purely value-driven company into a world-class manufacturer of premium-quality cars. 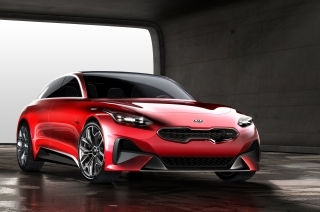 Now, taking a lead from other models in the Kia portfolio, it has been given a subtly sportier look with the introduction of ‘GT-Line’ and ‘GT-Line S’ versions. 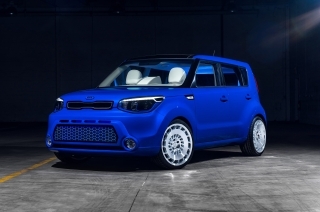 Both feature 19-inch double five-spoke alloy wheels with 235/55 R19 tyres, a aluminium side step, ice cube-style front foglights, red brake calipers and twin exhaust pipes. ‘GT-Line’ has projection headlights while ‘GT-Line S’ has LED headlights with a dynamic bending function. Inside, there are black leather seats with light grey stitching, a perforated leather-trimmed steering wheel and a bespoke ‘GT-Line’ design leather gearshifter. ‘KX-1’, ‘KX-2’ and ‘KX-3’ versions remain unchanged, save for the introduction of Android Auto™ and Apple CarPlay™ integration into the infotainment system. Both allow access to music, navigation and hands-free calls and texts when linked with a smartphone through pre-downloaded apps. 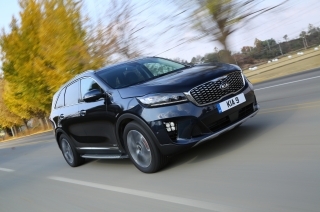 As Kia’s flagship SUV in the UK, the Sorento has executive-class space and versatility to match its executive-class style, quality and refinement. That has been made possible by a 95mm increase in overall length compared with its predecessor and an 80mm longer wheelbase. The Sorento's rakish looks are helped by a 15mm reduction in height and a 5mm wider body when measured against the previous model. As a result there is impressive space in all three rows of seats and 90 litres more luggage capacity. 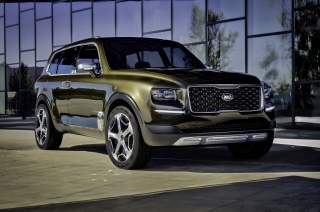 When starting work on the car, Kia was in something of a quandary: whether to make the third-generation Sorento even more sophisticated than the outgoing model, or to retain that car’s much-valued towing and off-roading capability. 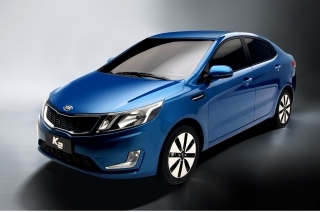 In the end, Kia was able to do both. The phrase the product planners and designers use is “Elegant but practical”. 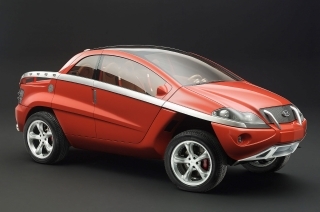 And the car immediately began reaping design awards. 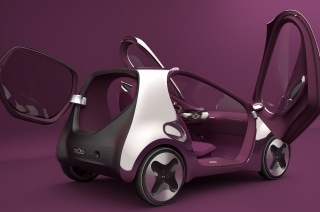 It received the prestigious IF Design Award in Germany, with the international jury recognising not only its aesthetics but also its finish, innovation, environmental impact and safety. 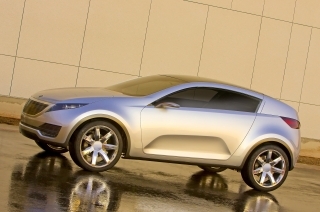 The Sorento thus became the seventh Kia to receive an IF Design Award. 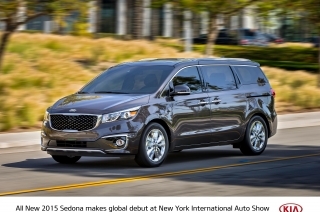 Familiar Sorento design cues like the shape of the D-pillar are still in evidence, but now there is a sleeker, swept-back profile, and more sculpted surfaces. 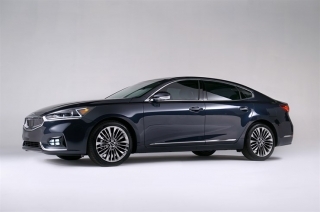 The low roof, rising belt line and sweeping profile give the car a bold, muscular appearance, and there are pronounced rear shoulders which create a three-dimensional look. 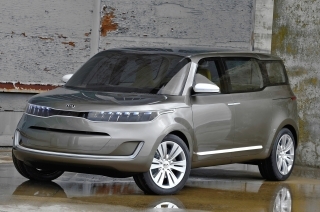 The Sorento was the first Kia to make use of a laser welding manufacturing technique which allows for closer body panel connections. 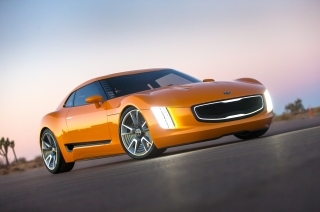 This enabled Kia’s designers to introduce more advanced shapes to the bodywork. 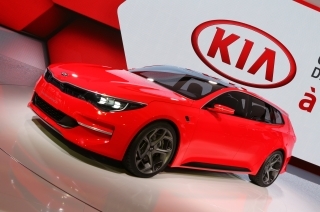 It was also the first car to be produced under Kia’s new Global Quality Strategy, which became fully operational at the start of 2014. 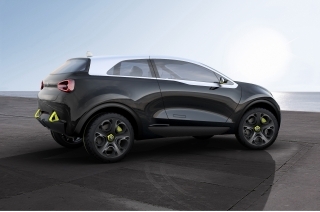 In the choice of materials, fit and finish and technology the Sorento became a significant step forward for Kia. The designers spent a lot of time on the architecture of the cabin to reinforce its quality, space and practicality. The shape of the bottom of the windscreen was carefully crafted to emphasise the car’s width, for example, while the sculpted lines give an impression of solidity and modernity. Switches and buttons have been fastidiously grouped according to function and ergonomics, and they have an almost machined finish and action. The standard instrument cluster features clear, stylish, white-on-black graphics which deliver all essential information at a glance, but in ‘KX-3’, ‘GT-Line’ and ‘GT-Line S’ versions this is replaced by a seven-inch TFT (Thin Film Transistor) display which adds an even more premium look to the dashboard and allows greater personalisation of the information provided. 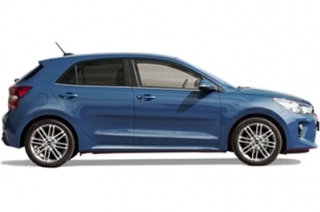 The 2.2-litre turbodiesel engine fitted to all seven models is a member of the R-family and features a fourth-generation common-rail fuel injection system. The intake manifold, cylinder head cover and oil filter housing are made of plastic to help trim weight. The intake manifold features electronic swirl control and an exhaust gas filtration system that promotes the recirculation of clean, cool, low-pressure exhaust gases to maximise efficiency. 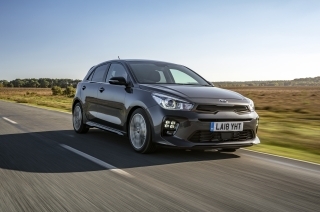 The engine develops its 197bhp at 3,800 rpm and 441Nm of torque from just 1,750 rpm, endowing the Sorento with outstanding driveability on- and off-road. A balancer shaft reduces vibrations and ensures the engine is extremely refined. Manual models accelerate from 0-60mph in 8.7 seconds, with the auto taking 9.1 seconds, and all versions have a top speed of 127mph. 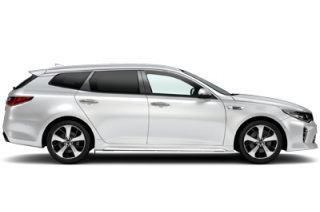 All models have Kia's Intelligent Stop & Go (ISG) engine stop/start system to ensure that no fuel is used and no emissions are released when the car comes to a halt. This helps to improve both air quality and noise levels in urban areas. 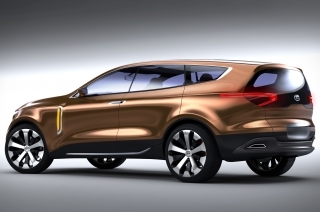 The Sorento features a Dynamax intelligent electronically controlled all-wheel-drive system from Magna Powertrain. It continuously monitors driving conditions and anticipates when all-wheel drive will be needed, whereas other systems react only to changing conditions. With Dynamax, the Sorento is always in the correct drive mode for the prevailing circumstances. 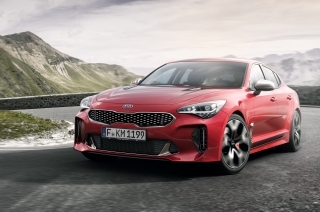 Normally it delivers 100 per cent of engine torque to the front wheels, but the torque can be redistributed up to a maximum of 60:40 front-to-rear to enhance cornering stability or if road conditions deteriorate. 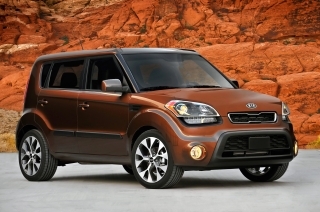 For off-road driving, owners can manually select lock mode, which gives a 50:50 torque split at speeds of up to 25mph. 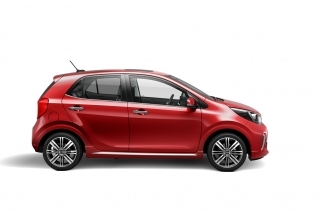 It is paired with Advanced Traction Cornering Control (ATCC). Compared with all-wheel-drive systems which control wheelspin by braking a spinning wheel or reducing engine torque, ATCC automatically and instantaneously transfers torque to those wheels which still have grip, even before the Electronic Stability Control (ESC) system intervenes. This is linked with Hill-start Assist Control (HAC) which prevents roll-back when setting off uphill. Kia engineers have also striven to ensure the Sorento delivers a luxury-car ride and engaging and precise on-road handling. 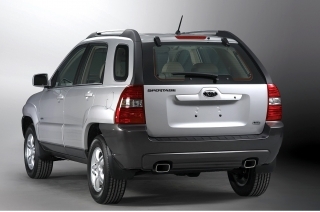 To this end, the Sorento has all-independent suspension and rack-mounted Motor Driven Power Steering (R-MDPS). 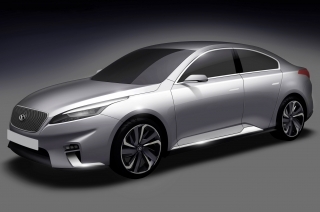 The electric motor module which controls the steering is mounted directly to the steering rack, bringing the twin benefits of sharper responses and greater precision. 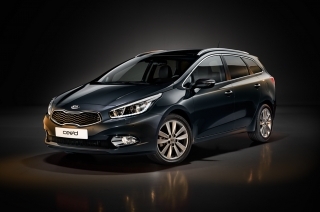 Self-levelling suspension is standard from grade ‘KX-2’ upwards. 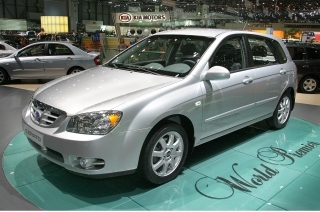 Refinement is one of the key distinguishers in cars which aspire to be premium. It refers to the suppression of unwanted sounds and vibrations – what engineers call NVH, or noise, vibration and harshness. A solid, stiff body shell is essential if NVH is to be kept in check. 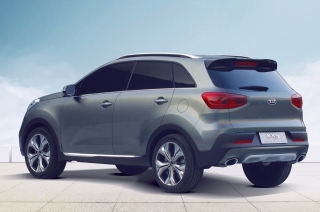 Despite being larger than the previous Sorento, the latest model is 14 per cent torsionally stiffer, helped by the use of 53 per cent advanced high-strength steel in its construction. Sound absorption and insulation materials have been used liberally throughout the car and the Sorento has a remarkably low drag coefficient for an SUV of 0.33, helping to curtail wind noise. 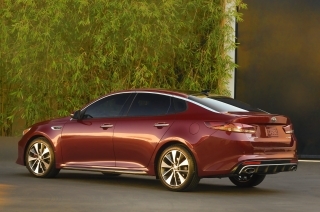 Airflow over the body is improved by a rear spoiler and carefully shaped tail lamp clusters, and the underside has full-size aerodynamic shields. 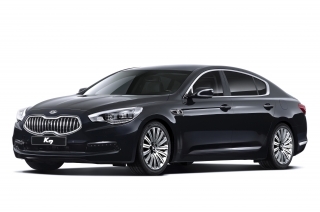 The five luxuriously appointed trim grades are, in ascending order, ‘KX-1’, ‘KX-2’, ‘GT-Line’, ‘KX-3’ and ‘GT-Line S’. All have seven seats with a 40:20:40 split in the middle row and a 50:50 split in the rear. Depending on model, the Sorento features a number of highly advanced safety and convenience technologies. They include Adaptive Smart Cruise Control to maintain a gap to the vehicle ahead, Speed Limit Information Function (SLIF), a 360-degree Around View Monitor, Rear Cross Traffic Alert (RCTA) to prevent the owner from backing out of a parking space into the path of an approaching vehicle, Smart Park Assist System (SPAS) with reverse and parallel parking functions, Lane Keep Assist System (LKAS), Blind Spot Detection (BSD), Forward Collision Avoidance Assist and a roll-over sensor, which triggers the side curtain airbags if the car is at risk of turning over. 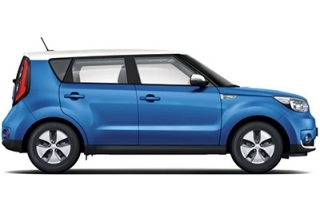 The Sorento has been awarded five stars in Euro NCAP safety tests. 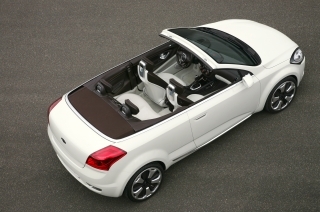 Highlights of the extensive standard features include alloy wheels (17-, 18- or 19-inches in diameter, depending on grade), black side sill and wheel-arch mouldings, roof rails, LED daytime running lights, a front wiper de-icer, electrically adjustable folding and heated door mirrors with LED indicators, door sill scuff plates (aluminium on ‘KX-3’, ‘GT-Line’ and ‘GT-Line S’), steering wheel-mounted controls, all-round electric windows and reversing sensors, while safety is taken care of by Electronic Stability Control, Vehicle Stability Management, Trailer Assist and ABS with Electronic Brake Force Distribution and Brake Assist. 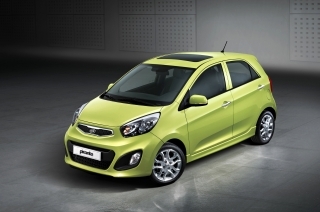 There are six airbags, front seat belt pre-tensioners and load limiters and an Active Bonnet to protect pedestrians. All versions have a digital DAB radio compatible with MP3 players and Bluetooth® with music streaming, and now feature Android Auto™ and Apple CarPlay™ which offer voice control. A reversing camera is available on all grades. 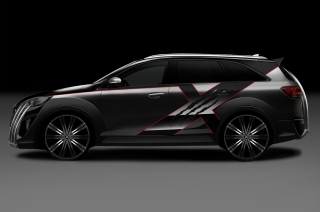 In ‘KX-2’ this is supplemented with chrome exterior door handles, a side sill chrome garnish, rain-sensing wipers, black leather/faux leather upholstery, heated front and outer rear seats, dual automatic climate control, an 8-inch touchscreen satellite navigation system with European mapping and Traffic Messaging. 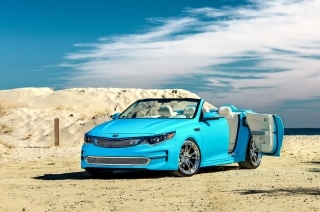 ‘KX-3’ adds a panoramic sunroof, LED dynamic bending headlights and rear lamp units, an eight-way power-adjustable driver’s seat, alloy pedals, an engine start/stop button and smart entry system, a smart powered tailgate, a 10-speaker harman/kardon™ premium sound system, a 7-inch TFT colour instrument display, a wireless phone charger, Lane Keep Assist System (LKAS), automatic headlight beam adjustment and a Driver Attention Warning (DAW), which can detect when the driver is getting tired and issue alerts that it is time to take a break. 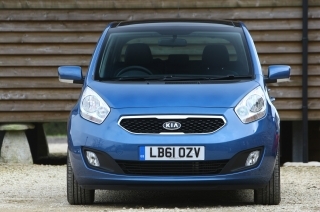 The ‘GT-Line’ model is based on the ‘KX-2’ but is distinguished by a smart key and engine start/stop button, eight-way power-adjustable front seats, a 7-inch LCD supervision cluster, Lane Keep Assist System (LKAS), Speed Limit Information Function (SLIF) and a Driver Attention Warning (DAW). ‘GT-Line S’ additionally has the Smart Park Assist system (SPAS), 360-degree Around View Monitor, Adaptive Smart Cruise Control, 10-way power-adjustable driver's seat with memory function, ventilated front seats, solar glass and rear side window blinds, a panoramic sunroof, Blind Spot Detection (BSD), Rear Cross Traffic Alert (RCTA), Forward Collision Avoidance Assist and the 10-speaker harman/kardon™ premium sound system. 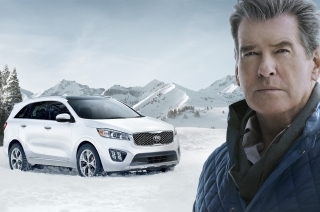 The Sorento is built at Kia’s largest factory, at Hwasung in Korea, and is covered by the company’s industry-leading seven-year or 100,000-mile transferable warranty, subject to the exclusion of routine wear-and-tear items. 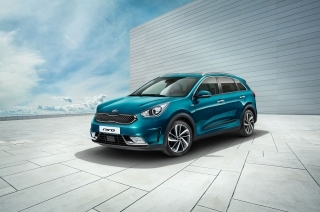 The Sorento is available with Kia’s ‘Kia Care’ service plans, which have been developed to provide customers with a wide range of service plan options for any Kia model within the first seven years of the vehicle’s life – matching its industry-leading seven-year warranty. ‘GT-Line’ and ‘GT-Line S’ have black leather seats with light grey stitching, a perforated leather-trimmed steering wheel and a bespoke ‘GT-Line’ design leather gearshifter plus paddle shifters. 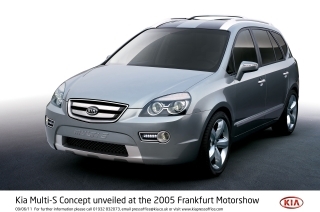 The market for SUVs is very different today to how it was in 2002, when Kia introduced the first Sorento. The people who drove 4x4s, as SUVs were still referred to in those days, were mostly those who needed them to cope with extreme terrain or weather, or for heavy-duty towing. 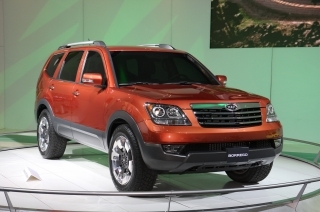 With this in mind, most 4x4s were built with a body on top of a rugged separate chassis. 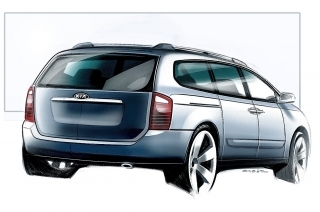 By the time of the second Sorento in 2009 things had changed. There had been a huge surge in demand for SUVs, but many of the new devotees wanted the driving qualities they were used to in premium saloons. 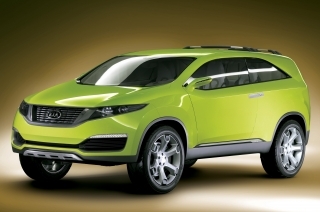 So SUVs, with only a few exceptions, adopted a monocoque, all-in-one body construction. For the third-generation Sorento, introduced in 2015, Kia was in something of a quandary: whether to make the car even more sophisticated, or to retain the much-valued towing and off-roading capabilities of the second-generation model. 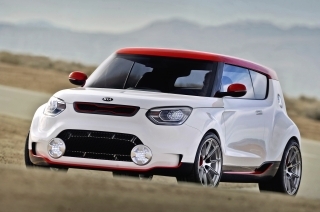 In the end, Kia was able to do both. 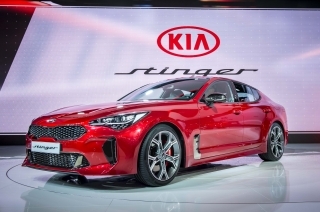 Nothing demonstrates the changing buying profile of SUV customers more than Kia's decision to add new subtly sporty ‘GT-Line’ and ‘GT-Line S’ versions to the line-up. Today, a large SUV is an alternative to a premium saloon rather than a workhorse, and must be styled and equipped accordingly. Both ‘GT-Line’ models feature 19-inch double five-spoke alloy wheels with 235/55 R19 tyres, aluminium side steps, ice cube-style front foglights, red brake calipers and twin exhaust pipes. ‘GT-Line’ has projection headlights while ‘GT-Line S’ has LED headlights with a dynamic bending function. The phrase the product planners and designers use to sum up their work is “Elegant but practical”. 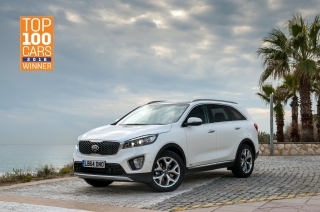 The Sorento is elegant and distinctive, but at the same time it does not fail to emphasise its solidity, practicality and off-road or towing capability. 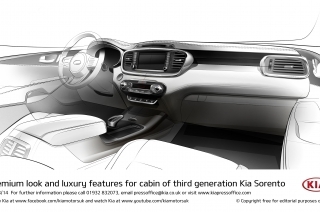 Kia was determined that the third-generation Sorento would have executive-class space and versatility to match its executive-class style, quality and refinement. That has been made possible by an increase in length of 95mm compared with the previous model and an 80mm longer wheelbase (now 2,780mm). 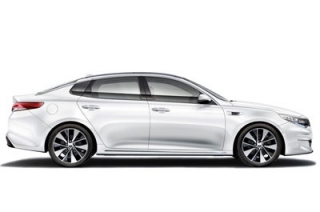 The latest Sorento's rakish looks are helped by a 15mm reduction in height and a 5mm wider body. The significance of these dimensions is that headroom and legroom were improved in all three rows of seats, by up to 15mm and 25mm respectively, and there is 90 litres more luggage capacity. 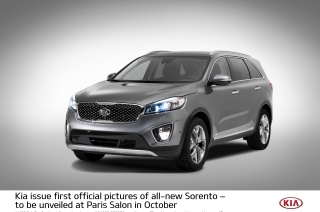 From the outset the 2015 Sorento began reaping design awards. 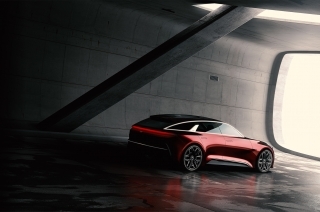 It received the prestigious IF Design Award in Germany, with the international jury recognising not only its aesthetics but also its finish, innovation, environmental impact and safety. 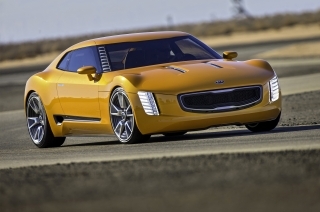 The Sorento thus became the seventh Kia to receive an IF Design Award. In many ways the design of the latest Sorento was dictated by its increased dimensions. 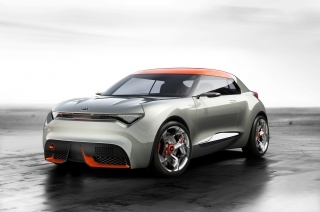 The aim of the design team was to give the car greater on-road attitude with a more confident and assertive appearance, without discarding the heritage and DNA of the first two versions. That is why it retains much-loved design features like the side window graphic with a chromed frame, high belt line and fast, sweeping D-pillar. 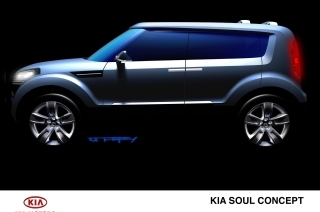 The designers began with the front, introducing a more expressive look. 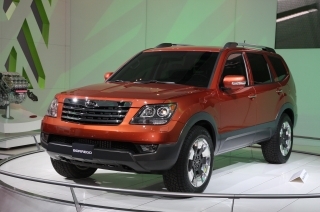 There are stretched wrap-around headlamp units and prominent, recessed foglights. 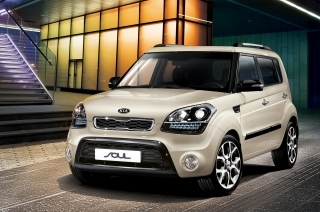 The head-on view is dominated by a large, upright version of the Kia ‘tiger-nose’ grille in either glossy black or hot-stamped material. 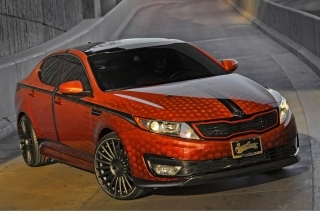 This blends into the distinctive long bonnet. A silver skid plate beneath the lower air intake confirms that the Sorento is a fully fledged SUV. 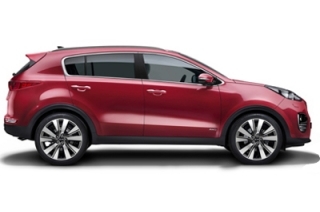 The Sorento has a sleeker, more swept-back profile which disguises its increased size, and deeply sculpted surfaces. 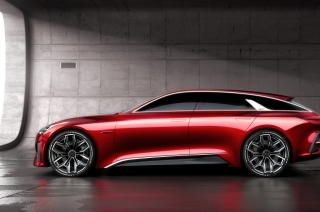 The lower roof, rising belt line and more sweeping profile make it look bold and muscular, and there are pronounced rear shoulders to give the car greater three-dimensionality. 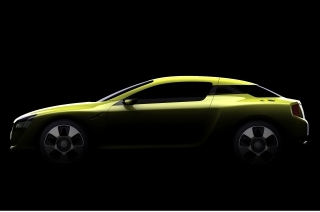 The B- and C-pillars are in black to make the window silhouette appear more open, and a stylish two-tone lower body cladding connects the front and rear to accentuate the car’s length. 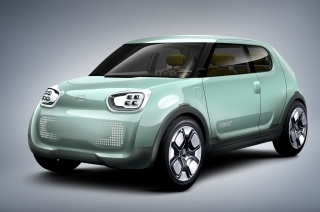 The door mirrors are in body colour and feature integrated LED indicators. 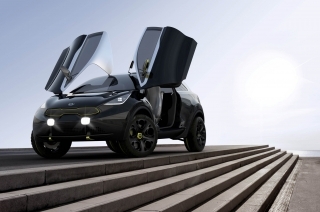 The wrap-around, frame-integrated side doors are slimmer than conventional doors, fit more snugly into the profile of the car and allow for a wider opening. This helps to keep the seals completely free of dirt and moisture thrown up from the road, keeping the hands and clothes of passengers clean and dry when getting in and out. 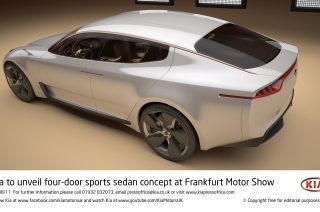 And – although this is largely hidden from view – they emphasise the greater quality of the car because there are no welding pleats in their construction. 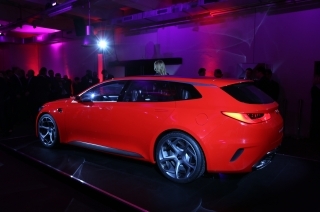 The rear features a highly sculpted registration plate housing, made possible by the new laser-welding technologies. These render weld lines invisible and do away with the need for the usual garnish to mask the joints on the tailgate. The black lower side garnish at the sides continues into the rear fog light surrounds and, as at the front, there is a silver-painted skid plate. The premium quality of the car is unmistakable in the integral rear spoiler, ‘shark-fin’ antenna and the LED rear lights on most versions. 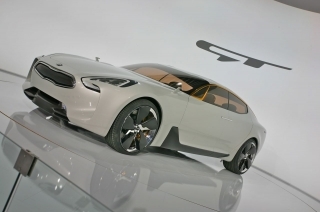 The exterior design was led by Kia’s Namyang studios, but there was also significant input from the design teams in Frankfurt and Irvine, California. In the UK, ‘KX-1’ comes as standard with 17-inch alloy wheels, ‘KX-2’ and ‘KX-3’ have 18-inch alloys and ‘GT-Line’ and ‘GT-Line S’ are distinguished by 19-inch alloys. 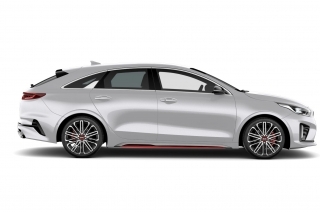 All versions have black side sill and wheel-arch body mouldings, body-coloured door mirrors, roof rails, a rear spoiler and privacy glass on the rear side windows and tailgate. 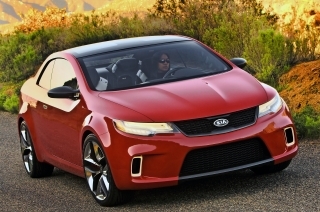 The Sorento is Kia’s flagship SUV, and the interior reflects that. 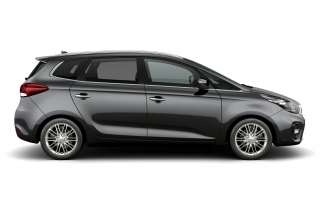 It helps to position the car in the Kia range and showcases the best the company can offer in terms of quality, craftsmanship and perceived luxury. 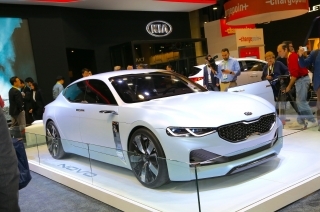 The Sorento was the first car to be produced under Kia’s new Global Quality Strategy, which became fully operational at the start of 2014. This brings together several facilities which were previously scattered all over Korea, and is linked to the company’s main research and development centre at Namyang. It employs 410 people and has its own 1.1-kilometre testing ground. 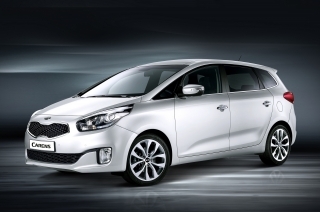 All future Kias will pass through the Global Quality Centre as part of Kia’s ‘Drive Defects to Zero’ programme. The ultimate aim is to be the global leader for quality. 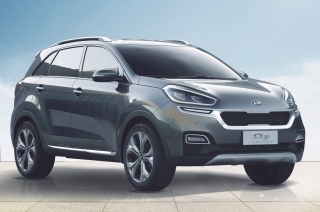 In the choice of materials, fit and finish and technology the Sorento was a significant step forward for Kia when launched in 2015, adding new levels of sophistication and marking the next phase of the company’s progression from a purely value-driven brand. There are soft-touch surfaces throughout the cabin, while the brightwork has a satin rather than a polished finish, creating a premium appearance. The Sorento designers spent a lot of time on the architecture of the cabin to reinforce its quality, space and practicality. 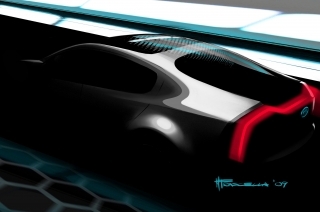 For example, the shape of the bottom of the windscreen was carefully crafted to emphasise the car’s width, while the sculpted lines give an impression of solidity and modernity. Switches and buttons have been fastidiously grouped according to function and ergonomics, and they have an almost machined finish and action. The standard instrument cluster features clear, stylish, white-on-black graphics which deliver all essential information at a glance, but in ‘KX-3’, ‘GT-Line’ and ‘GT-Line S’ this is replaced by a seven-inch TFT (Thin Film Transistor) display which adds an even more premium look to the dashboard and allows greater personalisation of the information provided via steering wheel-mounted controls. ‘KX-1’ has black cloth upholstery, while ‘KX-2’ and ‘KX-3’ have black leather with faux leather sections. There are door sill scuff plates in every model, and these are aluminium with illuminated sections in ‘KX-3’, ‘GT-Line’ and ‘GT-Line S’. The three upper-grade models also have alloy pedals with non-slip inserts. There are cloth-wrapped A- and B-pillars from ‘KX-2’ upwards. An electronic parking brake is standard with automatic transmission, and all versions have illuminated vanity mirrors in the front sun visors. An engine start/stop button is standard on ‘KX-3’, ‘GT-Line’ and ‘GT-Line S’. The front seats are firmer at the bottom and softer higher up to ensure maximum comfort. The driver’s seat in ‘KX-3’ and ‘GT-Line’ has eight-way power adjustment, while ‘GT-Line S’ fares even better with 10-way power adjustment and four-way powered lumbar adjustment. The driver’s seat also has an integrated memory in ‘GT-Line S’, allowing two people to store their preferred driving position. Both front seats are 38mm lower than in the previous model, for easier entry and exit. The second-row seats slide forward by 270mm, giving much-improved access to the two seats in the rear, which offer sufficient head and leg room to accommodate adults. The transmission tunnel has been completely eliminated, whereas in the previous model it was 64mm tall, so there is now a completely flat floor for passengers’ feet, and the mid row of seats is split 40:20:40 for maximum versatility. 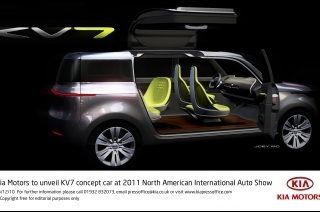 The second-row seat remote folding mechanisms are operated from within the boot, and in ‘KX-3’ and ‘GT-Line S’ there is a powered Smart Tailgate. When the owner is within one metre of the rear of the car and has the car key in a pocket or handbag, the tailgate opens automatically after three seconds. 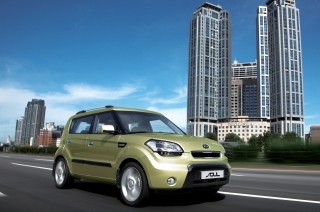 The Smart Tailgate can also be set to raise to different heights convenient for the owner. There is also a luggage cover with a dedicated storage space when it needs to be removed, a luggage undertray and a luggage net. 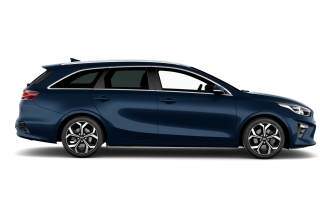 The boot is 87mm longer than in the previous model (third row seats folded) which, along with the increase in wheelbase, significantly enlarges carrying capacity. The lift-over height of the rear sill was also lowered, by 5mm. The Sorento can therefore carry 142 litres of luggage when all seats are in use, 605 litres with the third-row seats folded (+17.5 per cent) and 1,662 litres when travelling as a two-seater. This is up to 90 litres more than with the previous model. Cabin storage includes cupholders in the centre console and rear armrest, a centre console storage box, an illuminated glovebox, front and rear door storage and front seat back pockets. Sorento is available in the UK with five luxuriously appointed trim grades, all with state-of-the-art advanced driver assistance and connectivity features. 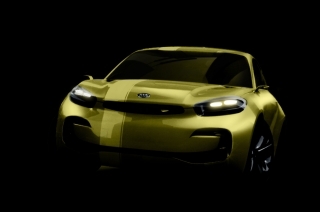 In ascending order, the model line-up is ‘KX-1’, ‘KX-2’, ‘GT-Line’, ‘KX-3’ and ‘GT-Line S’. All have seven seats with a 40:20:40 split in the middle row and a 50:50 split in the rear. 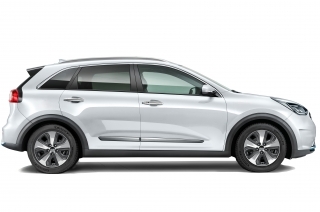 Depending on model, the Sorento's highly advanced safety and convenience technologies include Adaptive Smart Cruise Control to maintain a gap to the vehicle ahead, Speed Limit Information Function (SLIF), a 360-degree Around View Monitor, Rear Cross Traffic Alert (RCTA) to prevent the owner from backing out of a parking space into the path of an approaching vehicle, Smart Park Assist System (SPAS) with reverse and parallel parking functions, Lane Keep Assist System (LKAS), Blind Spot Detection (BSD), Forward Collision Avoidance Assist and a roll-over sensor, which triggers the side curtain airbags if the car is at risk of turning over. 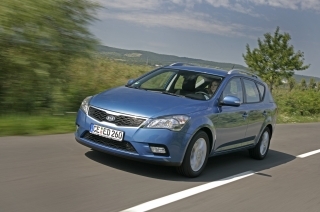 The Sorento has been awarded five stars in Euro NCAP safety tests. Highlights of the extensive standard features include alloy wheels (17, 18 or 19 inches in diameter, depending on grade), black side sill and wheel-arch mouldings, roof rails, LED daytime running lights, a front wiper de-icer, electrically adjustable folding and heated door mirrors with LED indicators, door sill scuff plates (aluminium on ‘KX-3’, ‘GT-Line’ and ‘GT-Line S’), steering wheel-mounted controls, all-round electric windows and reversing sensors, while safety is taken care of by Electronic Stability Control, Vehicle Stability Management, Trailer Assist and ABS with Electronic Brake Force Distribution and Brake Assist. 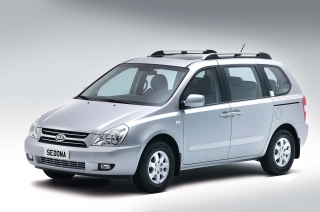 There are six airbags, front seat belt pre-tensioners and load limiters and an Active Bonnet to protect pedestrians. All versions have a digital DAB radio compatible with MP3 players and Bluetooth ® with music streaming, and now feature Android Auto™ and Apple CarPlay™ which offer voice control. A reversing camera linked to the touchscreen is available from ‘KX-1’. In ‘KX-2’ this is supplemented with chrome exterior door handles, a side sill chrome garnish, rain-sensing wipers, black leather/faux leather upholstery, heated front and outer rear seats, dual automatic climate control in place of air conditioning, an 8-inch touchscreen satellite navigation system with European mapping and Traffic Messaging and a reversing camera linked to the touchscreen. 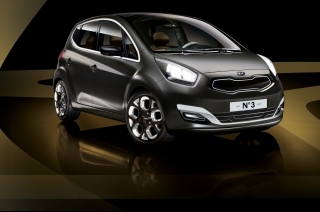 ‘KX-3’ adds a panoramic sunroof, LED dynamic bending headlights and rear lamp units, an eight-way power-adjustable driver’s seat, alloy pedals, an engine start/stop button and smart entry system, a smart powered tailgate, a 10-speaker harman/kardon™premium sound system, a 7-inch TFT colour instrument display, a wireless phone charger, Lane Keep Assist System (LKAS), automatic headlight beam adjustment and a Driver Attention Warning (DAW), which can detect when the driver is getting tired and issue alerts that it is time to take a break. The one major mechanical change for the 2018 Sorento is the introduction of an eight-speed automatic gearbox in place of the previous six-speed unit. 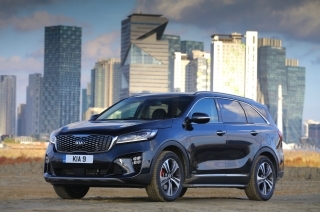 It is offered in four of the seven Sorento models and is standard in the ‘GT-Line’ and ‘GT-Line S’ grades and optional with ‘KX-2’ and ‘KX-3’ versions. 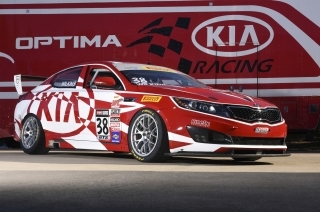 Further changes were unnecessary because the latest Sorento was virtually an all-new car when launched less than three years ago. 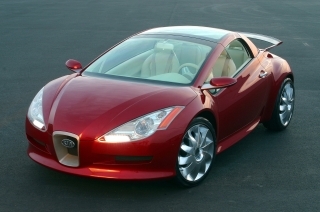 The engine, for instance, was made lighter, more powerful, more fuel-efficient and cleaner. 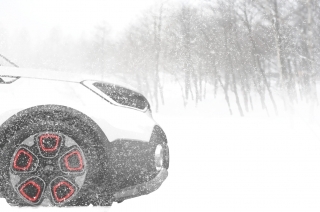 The all-wheel-drive system helps to save fuel when traction is not at a premium, but reacts to changing conditions faster and more effectively when all-wheel drive is necessary. The suspension was totally reworked so that the Sorento not only has the ride comfort of a car with premium aspirations but is also more responsive and more engaging to drive. Kia’s fuel-saving Motor Driven Power Steering benefited from a rack-mounted electronic control unit delivering greater responsiveness, and the five-mode Drive Select system was added to models with automatic transmission. There was a huge effort to eliminate noise, vibration and harshness (NVH) and make the cabin an even more luxurious place in which to travel. In the UK, all versions of the Sorento continue to be powered by the 2.2-litre version of Kia’s R-family turbodiesel engine. It is a 2,199cc 16-valve four-cylinder unit with chain-driven overhead camshafts and a variable geometry turbocharger and intercooler. The fourth-generation common-rail fuel injection system features piezo injectors, and the injection pressure is 2,000 bar, improving power and torque while assisting in lowering fuel consumption and emissions. Other technical highlights include an actuator which gives precise turbocharger control for superior acceleration and fuel economy, and a special coating to reduce friction on the piston skirt. The intake manifold, cylinder head cover and oil filter housing are made of plastic to help trim weight, and the thickness of the cylinder walls was reduced by 1mm, which helped the engine to shed 5kg. With an intake manifold featuring electronic swirl control and an exhaust gas filtration system that promotes the recirculation of clean, cool, low-pressure exhaust gas, the R-family diesel engine is a paragon of cleanliness and efficiency. 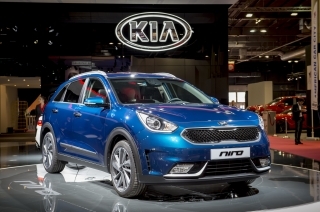 The engine develops 197bhp at 3,800 rpm and 441Nm of torque from just 1,750 rpm, endowing the Sorento with outstanding driveability on- and off-road. A balancer shaft reduces vibrations and ensures the engine is extremely refined. Acceleration from 0-60mph takes 8.7 seconds with the manual gearbox and 9.1 seconds with the automatic, and all versions have a top speed of 127mph. 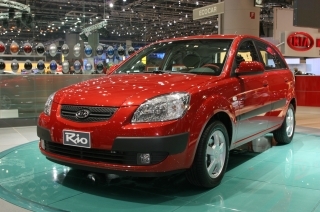 The Sorento was the first Kia to feature the company's Intelligent Stop & Go (ISG) engine stop/start system in automatic models as well as manuals. 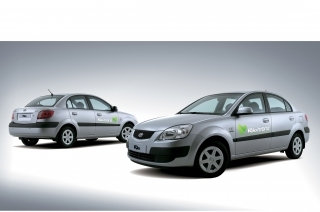 ISG ensures that no fuel is used and no emissions are released when the car comes to a halt. This helps to improve both air quality and noise levels in urban areas. 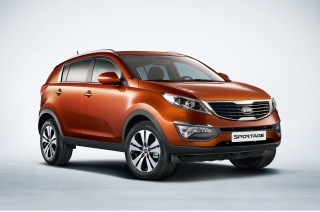 The Sorento drives through either a six-speed manual gearbox or the eight-speed automatic, depending on model, and employs a Dynamax all-wheel-drive system first seen in Kia’s compact SUV, the Sportage. 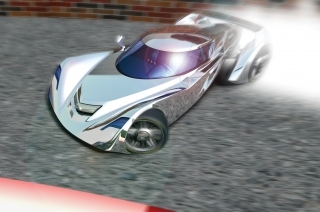 Dynamax is an intelligent electronically controlled all-wheel-drive system from Magna Powertrain. It continuously monitors driving conditions and anticipates when all-wheel drive will be needed, whereas other systems react only to changing conditions. With Dynamax, the Sorento is always in the correct drive mode for the prevailing circumstances. 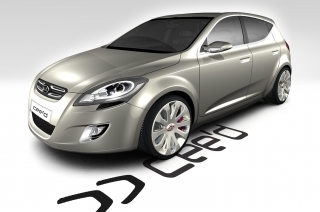 Dynamax functions by analysing data from the car's electronic control unit. Its fully active all-wheel-drive coupling is electro-hydraulically activated via a multi-plate clutch. 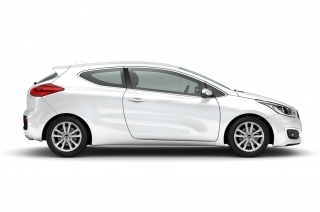 The benefits for the driver are reduced fuel consumption because all-wheel drive is engaged only when necessary, greater cornering stability and the elimination of under- and oversteer in extreme circumstances or road conditions. The system has a high thermal capacity, which means it will not overheat and need to shut itself down in repeated hill climbing or when towing at maximum capacity. 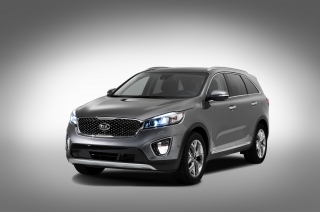 In the Sorento it is paired with Advanced Traction Cornering Control (ATCC). Compared with all-wheel-drive systems which control wheelspin by braking a spinning wheel or reducing engine torque, ATCC automatically and instantaneously transfers torque to those wheels which still have grip, even before the Electronic Stability Control (ESC) system intervenes. In extreme circumstances, the ESC system will counteract any tendency of the car to understeer or oversteer in hard cornering or slippery conditions. ESC automatically brakes one or more wheels, reduces engine torque – or does both – to stabilise the car and return it to the driver's intended course. This is linked with Hill-start Assist Control (HAC) which prevents roll-back when setting off uphill and eliminating the possibility of wheelspin. 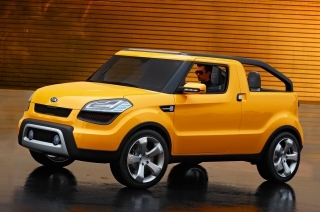 All versions have Trailer Stability Assist to make towing safer. 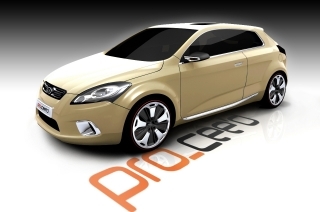 It works through the ESC system, and continuously monitors vehicle stability, gently applying some front braking force to the relevant side of the vehicle if it detects a potential loss of control. If this is insufficient, gentle all-wheel braking is introduced, along with a reduction in engine power, until the vehicle and trailer are stabilised. 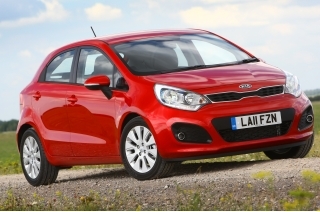 Both gearboxes feature high top-gear ratios for reduced engine revs and improved fuel economy when cruising at speed. The manual transmission was developed primarily with European markets in mind and incorporates multi-cone synchronisation, optimised gear design, reduced power loss and enhanced durability. 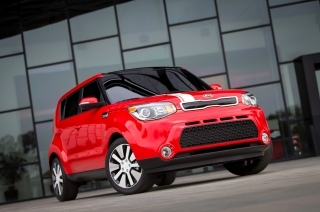 It is filled with low-viscosity oil and requires no servicing during the life of the car. 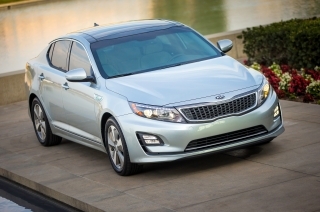 The eight-speed automatic was designed in-house at Kia's engineering facility at Namyang in South Korea. 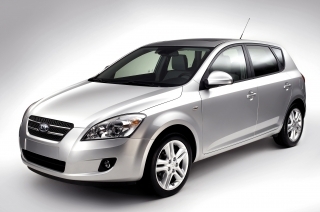 It is exceptionally smooth and rewards drivers with immediate shifts and optimum fuel efficiency. 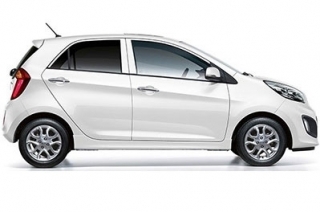 It offers up to five different shift and throttle programmes, accessed through the car’s electronic Drive Mode Select. Drivers can leave the car to shift for itself, or change gears with steering wheel-mounted paddles in ‘GT-Line’ and ‘GT-Line S’ versions. A stylish, space-efficient straight shifter offers the driver a choice of two operating modes – fully automatic for town driving, and sport for a more involving driving style. 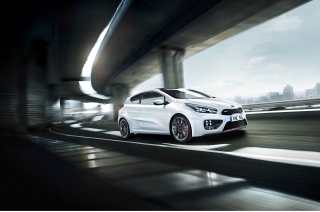 In Sport mode, the driver can perform sequential manual changes up or down. 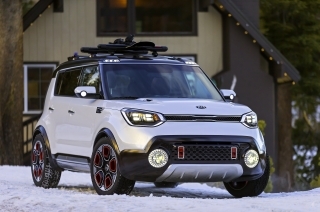 Kia was determined there would be no dilution of the Sorento’s legendary towing and off-roading capabilities with the latest model – and the Dynamax all-wheel-drive system enhances both – but the company’s engineers also strove to ensure that the car delivers a luxury-car ride and engaging and precise on-road handling. To this end, new suspension systems were introduced at the front and rear in 2015, and the Sorento became Kia's first SUV with rack-mounted Motor Driven Power Steering (R-MDPS). With R-MDPS the electric motor module which controls the steering is mounted directly to the steering rack. This brings the twin benefits of sharper responses and greater precision. 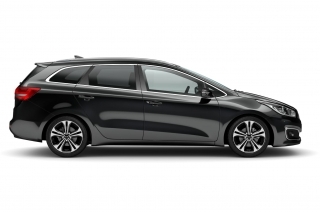 Kia likens it to trying to steer a blindfolded person from behind: if you direct them from the waist they are able to follow a more precise path than if directed at shoulder level. Drive Mode Select, which is standard with automatic transmission, allows the driver to change the steering mode, from a more comfort-oriented setting to one which is firmer and sportier, according to preference. It also modifies the automatic transmission shift pattern accordingly. Manual models have Kia's Flex Steer function which gives a choice of Normal or firmer Sport settings. Key features of R-MDPS are separation of the steering angle and torque sensors, three rack-bar support points to enhance the rigidity of the steering gears, a backlash-compensation gear yoke and a noise-reducing anti-rattle in the reduction gear module. R-MDPS requires just 2.87 turns between the extremes of lock and gives the Sorento a turning circle between kerbs of just 11.08 metres. The front suspension is via MacPherson struts with coil springs and gas-filled dampers, and there is an anti-roll bar. There is an H-shaped subframe, four-point bushing mountings and hydraulic rebound stoppers. This results in superior straight-line driving stability, a more comfortable ride, more precise handling and greater reliability. At the rear, the subframe-mounted double wishbones, coil springs, gas-filled dampers and anti-roll bar were accompanied by revised geometry to improve ride comfort and handling stability. The dampers are vertically mounted and the dual lower suspension arms are particularly lengthy. As at the front, four-point bushing mounts are employed on the main suspension frame. The result of all this is that the Sorento is not only more comfortable to travel in but also feels more connected to the road. 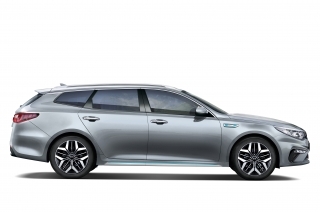 Self-levelling suspension is standard from grade ‘KX-2’ upwards. The Sorento has vented all-disc brakes – 320 x 28mm with two-piston calipers at the front and 314 x 18mm with single-piston calipers rear. 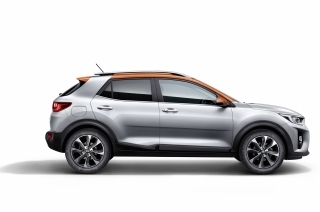 Anti-lock (ABS), Electronic Brake Force Distribution (EBD) and Brake Assist System (BAS) are all standard, ensuring the Sorento can be steered and braked safely at the same time and comes to a rapid and sure halt in the minimum distance, regardless of the force applied to the pedal by the driver. A push-button electronic parking brake (EPB) is standard with automatic transmission and includes Automatic Vehicle Hold (AVH), which prevents the car from rolling away accidentally when standing still or setting off on uphill inclines, without the driver having to keep a foot on the brake pedal. The Sorento is a premium SUV that combines the best elements of modern road-biased models with the right degree of traditional 4x4 all-terrain and towing capability. Manual versions can haul a braked trailer of up to 2,500kg, while automatics can tow up to 2,000kg. All versions can tow an unbraked trailer of up to 750kg. 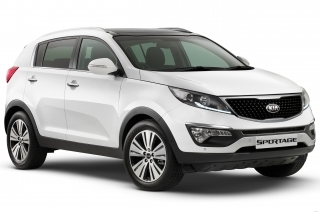 The Sorento is a highly capable off-road performer, with competitive approach, departure and ramp-over angles, and features the acclaimed Dynamax all-wheel-drive system from the Sportage. For improved traction and greater safety while driving in slippery conditions or off-road the driver can manually select lock mode. This splits the torque 50:50 between the front and rear axles for better stability, and maintains that split up to a speed of 25mph. 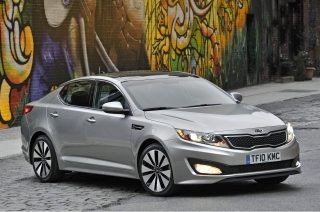 Refinement is one of the key distinguishers in cars which aspire to be premium. It refers not only to the quality of the fixtures and fittings or the smoothness of the drivetrain and controls, but also to the suppression of unwanted sounds and vibrations – what engineers call NVH, or noise, vibration and harshness. The control and elimination of NVH was one of the major goals in the development of the third-generation Sorento. A solid, stiff body shell is essential if NVH is to be kept in check. It allows other components to do their work without having to compensate for unwanted flexing. 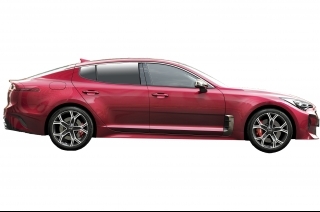 Despite being longer and wider than the previous Sorento, the latest model is 14 per cent torsionally stiffer, helped by the use of 53 per cent advanced high-strength steel in its body construction. Sound absorption and insulation materials have been used liberally throughout the car, even though they add weight, to ensure no stone was left unturned in the quest for quietness. There are insulating pads in the dashboard, transmission tunnel and around the front wheel arch and wing areas. Even the dashboard has a 29 per cent thicker soundproofing panel. 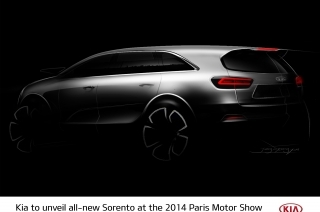 The aerodynamics, with a remarkably low drag coefficient for an SUV of 0.33, help to curtail wind noise. Airflow over the body is improved by a rear spoiler and carefully shaped tail lamp clusters, and the underside has not been overlooked, either. 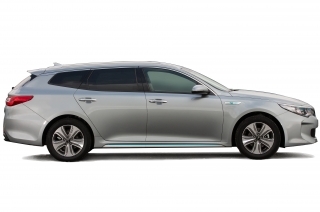 Full-size aerodynamic shields are 250 per cent larger than in the previous Sorento, and include under-covers for the engine, centre and rear of the car, a front bumper lip and deflectors in the front and rear wheel arches. Three-point inertial support structures have been applied to the transmission mount, engine mounts and upper roll rod to curb vibrations from the powertrain, while the extended dual lower rear suspension arms and stiffer alloy wheels, plus improved structures around the rear floor and front and rear damper mounts, help to minimise the transmission of road noise. There is also a diesel particulate filter cover, an acoustic shield around the intercooler pipe and a further acoustic shield integrated into the engine’s timing chain cover. The Sorento achieved a maximum five-star rating in Euro-NCAP safety tests. 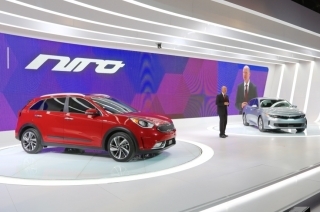 With a strong body shell, a comprehensive range of active and passive safety features and the availability of advanced safety-focused technologies, the Sorento scored 90 per cent for adult occupant protection, 83 per cent for child occupant protection, 67 per cent for pedestrian protection and 71 per cent for its safety assistance systems. The Sorento attracted special praise for the way its passenger cell remained intact after a collision and afforded passengers of different stature good protection. All passengers – even those in the third row of seats – are well protected against whiplash injury, while an Active Bonnet reduces the risk of injury to pedestrians. This raises the trailing edge of the engine cover in a collision so there is greater space between the pedestrian’s head and hard areas in the engine bay. 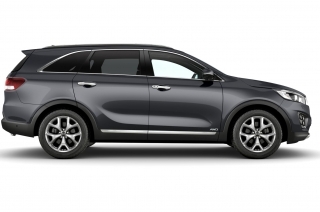 The ability of the Sorento to protect its passengers begins with the stiff body shell, which plays just as big a role in safety as it does in curbing NVH. The latest Sorento features more than twice as much ultra-strong hot-stamped steel as the previous model – up from 4.1 per cent to 10.1 per cent, mainly in the areas of the A- and B-pillars. In an effort to make accidents avoidable, there are standard anti-lock brakes (ABS) with Electronic Brake-force Distribution (EBD) to allow drivers to steer and brake simultaneously in emergencies and to ensure the stopping effort is directed to the wheels with most grip. Brake Assist System (BAS) is included and ensures maximum deceleration in an emergency stop, regardless of the force applied to the pedal by the driver. 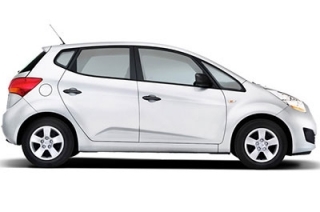 A push-button electronic parking brake (EPB) is fitted on all automatic models. It now includes Automatic Vehicle Hold (AVH), which prevents the car from rolling away accidentally when standing still or setting off on uphill inclines, without the driver having to keep a foot on the brake pedal. There is also Hill-start Assist Control (HAC) to prevent wheelspin or roll-back when setting off on steep or greasy upslopes. It works through the sensors that control the ESC system. The Sorento also has Electronic Stability Control (ESC). ESC automatically corrects any tendency of the car to go out of control through understeer or oversteer by braking individual wheels, reducing engine torque or both in slippery conditions or if the driver has entered a bend too quickly. 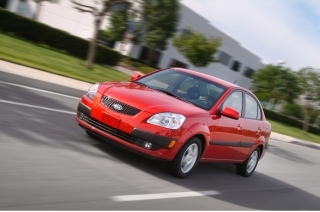 An additional driver aid is Vehicle Stability Management (VSM). This can detect when the wheels on one side are on a lower-grip surface than those on the other side and stabilise the car by reducing the amount of steering assistance if the driver is applying too much steering effort, or increasing it if the driver is applying too little. Six airbags (twin-front, front side and side curtains) are standard, as are active front headrests that prevent or minimise whiplash injuries should the Sorento be hit from behind. There are also front seat-belt pre-tensioners and load limiters to minimise the wearer's body travel in an accident while limiting pressure on the chest. Three-point seat belts are fitted to every seat, and there are ISOFIX child-seat mounting points with top tethers and anchors. The front passenger airbag has a cut-off switch so that a rear-facing child seat can be safely carried there. 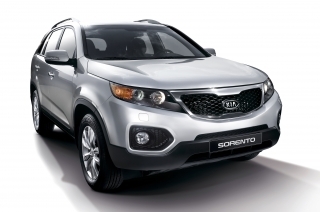 Depending on model, the Sorento features a number of highly advanced technologies to help drivers avoid accidents. 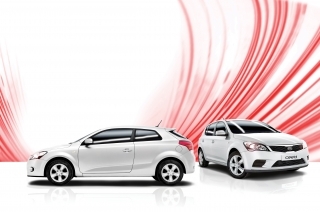 Adaptive Smart Cruise Control (ASCC), controlled by a radar at the front of the Sorento, is standard on ‘GT-Line S’ and automatically maintains a pre-determined distance to the vehicle ahead. 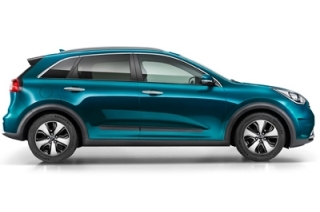 If the distance is reduced to the point where an accident is likely, the Sorento’s brakes are automatically applied, bringing the car to a complete stop if necessary. Once the car ahead moves off, so does the Sorento. A display on the TFT LCD display warns the Sorento driver what is happening. ‘KX-3’, ‘GT-Line’ and ‘GT-Line S’ also have a Speed Limit Information Function (SLIF). This displays the maximum speed permitted on any particular road in both the instrument cluster and the navigation screen. One invaluable feature is that if the limit on a particular road has been reduced – because of roadworks or smart motorway gantries – the Sorento’s on-board camera ensures the correct limit is displayed. A 360-degree Around View Monitor is standard with ‘GT-Line S’, as is Rear Cross Traffic Alert (RCTA). 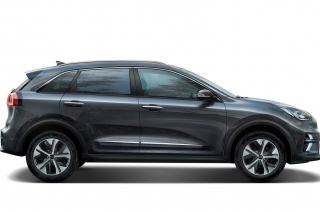 The 360-degree Around View Monitor uses front and rear cameras, plus two more mounted in the door mirrors, to give the driver a bird’s eye view of the Sorento at speeds up to 12.5mph, making parking and manoeuvring in difficult spaces easier and safer. 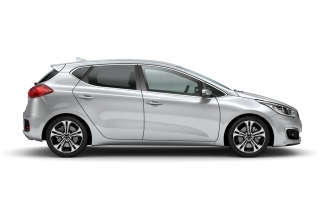 With the Smart Park Assist System (SPAS), which includes reverse and parallel parking functions, ‘GT-Line S’ drivers are also able to select rear and forward views. The Sorento steers itself into parking spaces while the driver works the accelerator and brake. Rear Cross Traffic Alert (RCTA) warns a Sorento driver who is reversing out of a parking space that another vehicle is approaching from the side. The Sorento also has a Lane Keep Assist System (LKAS) (‘KX-3’, ‘GT-Line’ and ‘GT-Line S’) with Blind Spot Detection (BSD) (‘GT-Line S’). Individually or together these alert the driver via audible and visual signals that vehicles are approaching from behind or in an adjacent lane. If the Sorento driver attempts to change lanes without activating the indicators, an alert is activated and Lane Keep Assist gently steers it back on to a safe course. Driver Attention Warning (DAW) (standard on ‘KX-3’, ‘GT-Line’ and ‘GT-Line S’) monitors the driving style of the person behind the wheel and, if there is any significant variance over a period of time, issues an audible and visual alert that the driver may be getting tired or drowsy and recommends that they take a break. Forward Collision Avoidance Assist (‘GT-Line S’) employs both short- and long-range radar systems so that it can detect vehicles and pedestrians at greater distances and higher speeds. The short-range radar operates at typical city speeds of up to 31mph. Between 19mph and 50mph the longer-range radar also comes into play. The pedestrian detection function operates at up to 37mph. The Kia Sorento is built at two Kia plants – Hwasung in Korea and West Point, Georgia, for North American markets. All UK versions come from Korea. 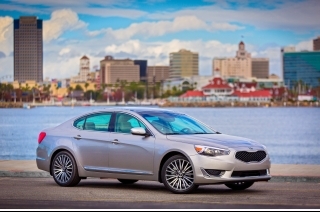 Hwasung is also Kia’s major petrol and diesel engine production plant, and produces one million engines and 600,000 transmissions a year. 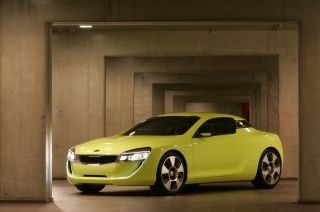 It is Kia's largest factory, with a capacity of 600,000 cars a year – double the maximum volume from the Žilina plant in Slovakia, for example. Hwasung has three production lines working two shifts, and employs 14,600 people. Each line turns out a new car every 74 seconds. 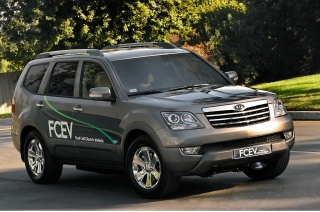 Total production to date is more than nine million vehicles. 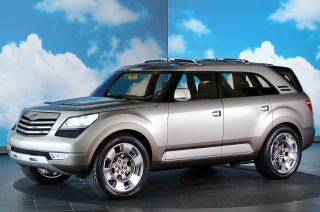 Hwasung was opened and began producing cars in July 1989, and was officially launched in 1990. 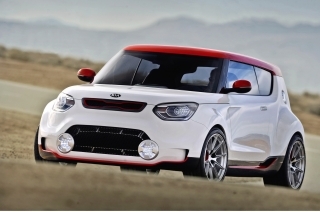 Within the Hwasung complex is a 425-acre proving ground with 16 driving courses. An employee sports centre gives the 15,000 workers and their families’ access to gymnasiums, swimming pools, squash courts, weight-training and community facilities. 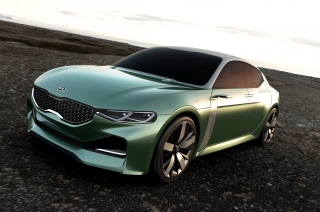 The facility has undergone major changes aimed at improving the quality of production processes and the cars leaving the factory gates, something which has been recognised by the American publication, Consumer Reports. 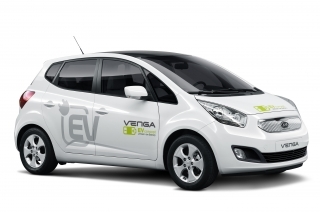 Constant efforts are also being made to minimise the plant's effect on the environment. There have been major initiatives to increase recycling, reduce the amount of pollutants and waste in the production process, lower greenhouse gas emissions and cut air pollution through more eco-friendly production systems. 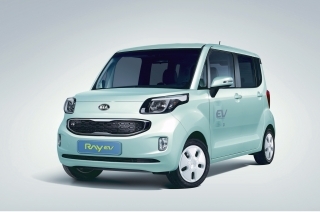 Energy-saving measures have also been introduced and Hwasung now sends no scrap to landfill. 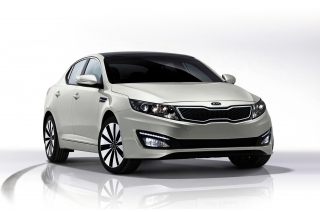 Kia has made reducing the amount of raw materials being fed into the production process a major priority in every one of its factories. The last few years have seen significant progress in reducing waste, increasing recycling and developing cleaner production processes. The overall waste generated by Hwasung is under constant review and a number of programmes have seen dramatic improvements. Recycling waste is now well in excess of 95 per cent. 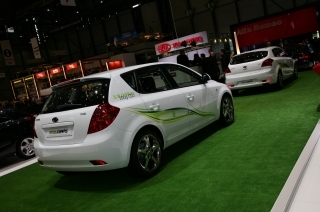 Exhaust pollutants from Hwasung have also decreased dramatically – dust, nitrogen dioxide and sulphur dioxide output have all been reduced significantly. 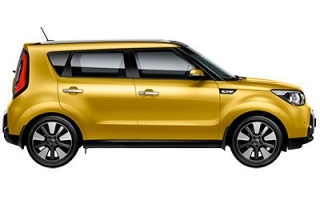 As a result of the improved fuel consumption and emissions of the Sorento as well as the constant efforts to reduce the environmental footprint of the Hwasung factory, the Sorento has become the 12th Kia to achieve internationally-recognised certification for its whole-life impact on the environment. 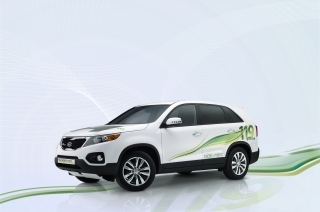 TÜV Nord, a leading independent technical inspection organisation, has certified the Sorento according to the ISO 14040 Life Cycle Assessment (LCA) standard. LCA forecasts the environmental impact of a vehicle during its full life. 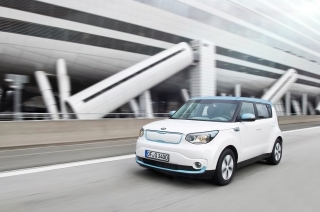 At Hwasung, new technology is playing a significant part in environmental improvement. Typical cast melting furnaces produce large amounts of dust and contained within this is a high proportion of zinc. The captured dust is treated and the zinc extracted before being re-used within the production process. Another simple energy-saving process has been implemented within Hwasung’s huge and complex air conditioning systems. A fixed amount of heat was supplied to some areas of the plant, regardless of the outside temperature. Using smart control units, the fans now supply heat only where and when needed. More technology is being employed in the machining shops where gearboxes are produced. Compressed air is used as a coolant when machining intricate gearbox internals, rather than cutting oil. This and the associated oil mist are problem pollutants and the new scheme is reducing oil use to less than half of one per cent. The green landscape around each facility is an important part of its make-up. One on-going programme is based on a number of ecology gardens which are filled with trees and plants resistant and also sensitive to environmental changes in air pollution. 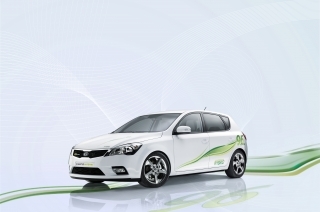 The Hwasung plant has more than 3,251,923 square metres of green areas and 228,752 trees. This makes for a more comfortable environment for the staff and local population and offsets some of the CO2 output from the facility. These ecology gardens are continually monitored since they act as real-world indicators of air quality. Each site is broadening its green patches and constantly monitors air pollution in neighbouring communities. A monthly task for each facility is the ‘One Stream Clean-up’ programme where Kia cleans and maintains local, natural streams. This is not only to monitor cleanliness but also to keep them maintained for the local communities to enjoy. 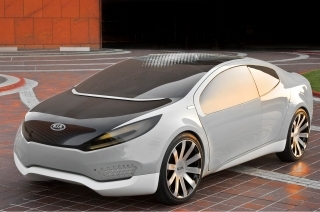 Hwasung is also instrumental in the development of end-of-life treatment technologies to reduce the environmental and social impact of Kia. 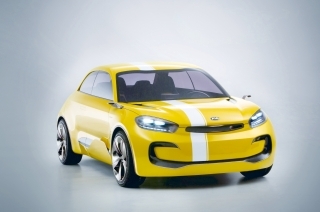 It is home to Kia's major Automobile Resource Regeneration (ARR) centre, which not only dismantles cars once they are no longer serviceable, but is also helping to devise new ways in which Kia’s are designed and assembled, as well as with the choice of materials used in manufacturing. 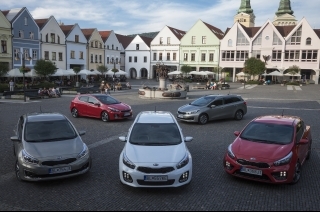 The Sorento reflects Kia’s belief that it is possible to own a premium car without asking buyers to pay a premium price and running costs. With a high standard specification which does not require buyers to add expensive options, it is an appealing proposition for the retail buyers who make up the majority of customers, and there are attractive after-care servicing packages to reduce operating costs, while the strong body shell and advanced safety features are reflected in the insurance ratings. 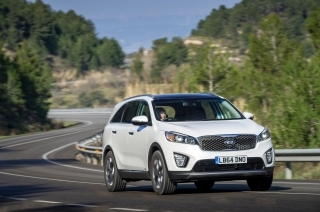 For fleet customers, the impressively low fuel consumption and CO2 output of the Sorento will mean lower operating costs and minimise personal taxation, especially with the more efficient eight-speed automatic gearbox. 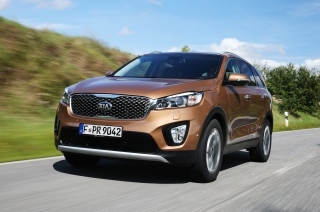 The eight-speed auto improves both the fuel economy and CO2 emissions of the Sorento compared with the previous six-speed unit. 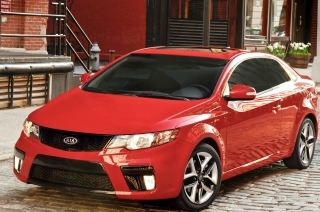 And the Sorento, like every Kia, continues to deliver the peace of mind of the company’s unique seven-year or 100,000-mile warranty, which is fully transferable if the car is sold before the time or mileage limit is reached. Routine servicing is needed only once a year or every 20,000 miles. Seven-year, 100,000-mile manufacturer warranty, unlimited for the first three years, transferable if the car is sold within the time and mileage limit. 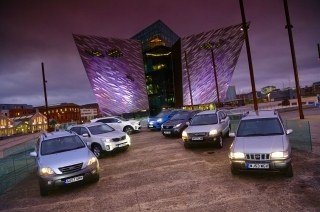 What is the sales breakdown for Sorento in the UK? Obviously it is 100 per cent diesel, since we do not offer the petrol version here, and 100 per cent seven-seat, because that is the only configuration we make available. There is a 57:43 retail-to-fleet split, which is higher than the sector average of 52:48. Our success with higher-trim versions is also high – 28 per cent of our sales. An interesting figure about the D-SUV market: an overwhelming 86 per cent are all-wheel drive. Why do you not offer the five-seater available in other countries? Because experience tells us that UK customers do not want it – even when we did provide a choice, the overwhelming preference was for seven seats. And owners can always fold down some of the seats if they want to change the interior configuration. It is now easier than ever thanks to features like the Sorento’s 40:20:40 sliding middle-row seats and remote middle-row folding mechanisms. 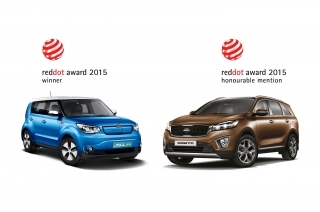 What is the significance of the Sorento to Kia in the UK? The Sorento is our flagship SUV in the UK, and we want to offer as many customers as possible the technologies we have available for the lowest possible price. We are constantly trying to move away from being regarded as a purely value-driven brand. 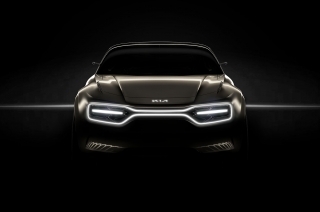 The Sorento began the second phase of that after the design-led revolution started by Peter Schreyer, our President of Design and Chief Design Office, in 2006. What was carried forward by customer demand, and what did people ask you to change? Previous Sorento buyers told us not to change the essential characteristics of the styling or reduce the space, towing performance, value for money and warranty, so we have at least maintained and in most cases improved those things. What they did want to see made better was the steering and fuel economy. 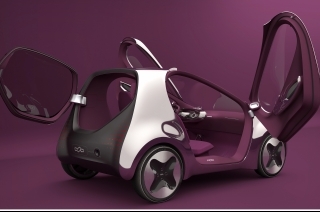 The latest car shows we have listened and acted upon their requests. 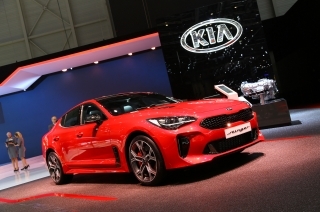 It was the first Kia model to be built in Europe, has been the best-seller in the UK for the past six years, and is currently tenth in the UK sales charts for 2018. 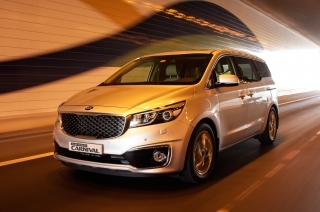 The Kia Sorento has been awarded ‘Best Used Large SUV for less than £26,000’ at the What Car? Used Car Awards 2019. 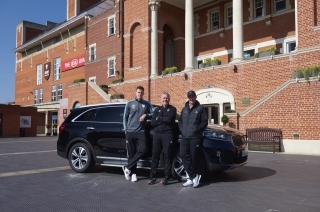 Kia Motors (UK) Ltd has provided two New Sorentos to support the Canary Wharf Squash Classic in London. The tournament is held at the East Wintergarden in Canary Wharf with the world’s top professional squash players competing. 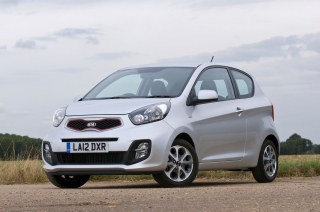 Multiple models from the Kia UK product line up were again recognised with category and overall wins in this years’ Diesel Car Used Car Top 50, following much praise in the 2017 awards. Kia's flagship SUV in the UK, the stylish seven-seat Sorento, has a subtly sportier look for 2018 with the introduction of ‘GT-Line’ and ‘GT-Line S’ variants and the availability of a new eight-speed automatic gearbox. 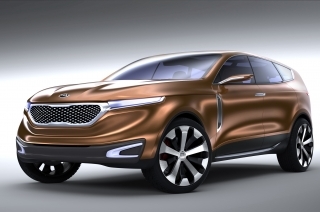 Kia Motors Europe has announced a range of upgrades to the Sorento, the company’s seven-seat flagship SUV.